On 19th Oct 2018, An Announcement has been made by UP Government which is regarding the huge opportunity in Uttar Pradesh Police coming into existence from 19 November 2018. A Total of 49568 Constable including 32,000 Civil Police and 19,000 PAC for Male & Female Candidates. Also, Bandi Rakshak Online Application Form will be started very soon in November 2018 which is already mentioned with the same notification. 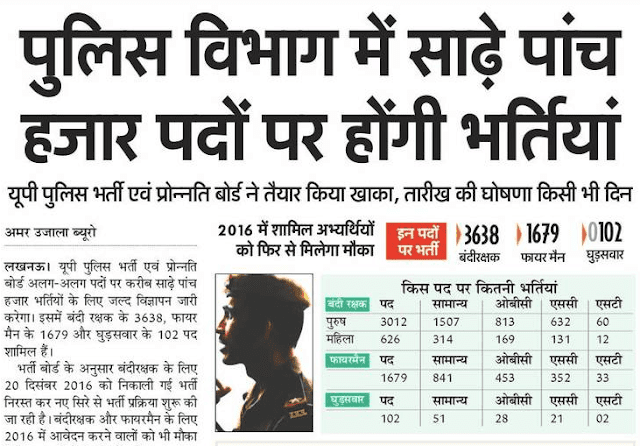 Indeed, It's a Diwali Gift from UP Government for Job Seekers looking for Government Jobs in their Native Area. Online Registration for Uttar Pradesh Application will be started from 1 November 2018 and will be available by 30 Nov 2018. Detailed Information will be available to applicant once the official notification is out for public candidates. 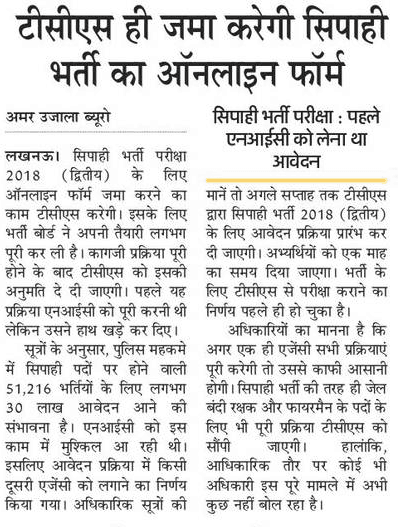 Note: A Good news for applicant who have been lost eligibility to Apply in UP Police in 2017, They can also apply in 2018 Vacancy said By Principal Secretary of UP. Applicant between 18 To 22 Years Can Only Apply. Here is the great announcement by Uttar Pradesh Recruitment & Promotion Board! The board has released a notification named UP Police Recruitment 2018. According to notification details board intends to hire 5419 eligible and interested individuals at the post of Fireman, Jail Warder, and Horse Rider. Those who want to apply can check complete eligibility norms from below. A PDF file of UP Police vacancies will be opened at your screen, go through notification details. Submit the form and take a hard copy of the same for future use.